Michelle Ntalami Nkatha is the founder and CEO of Marini Naturals, an organic hair-care line for women of afro textured and natural hair. The 34-year-old prides herself on being a high achiever and coming second place to anyone is absolutely out of the question. 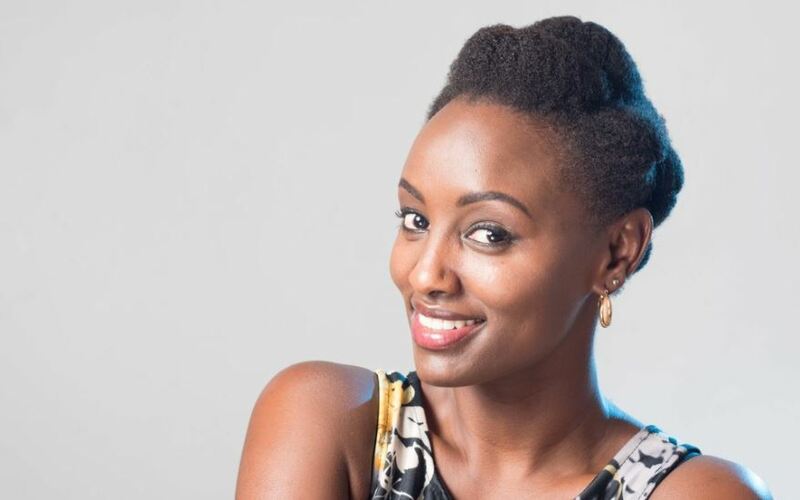 She graduated with first-class honours from the University of Nairobi with a bachelor of arts in design and communication in 2008. She worked with Scangroup as an accounts manager and in 2011, she started a company – Brandvine Group – to provide creative brand design and interior design solutions to companies and individuals. In 2014, Ntalami travelled to Italy to study interior design at the Florence Design Academy. 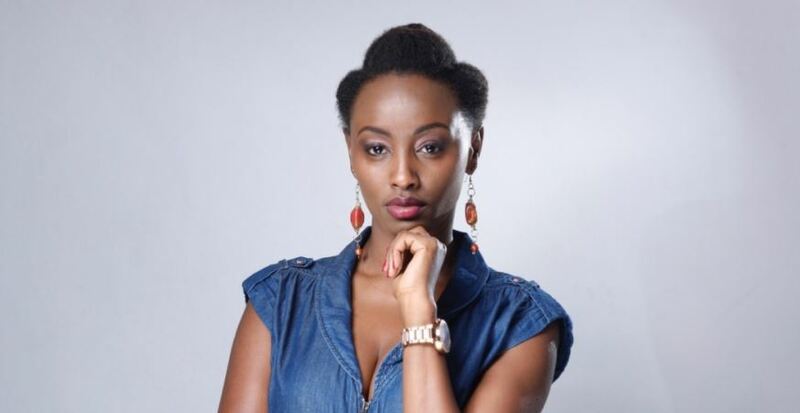 When she returned, she founded Marini Naturals. The entrepreneur spoke about growing her business, youth entreprenuership in Kenya, and BLAZE mentorship. 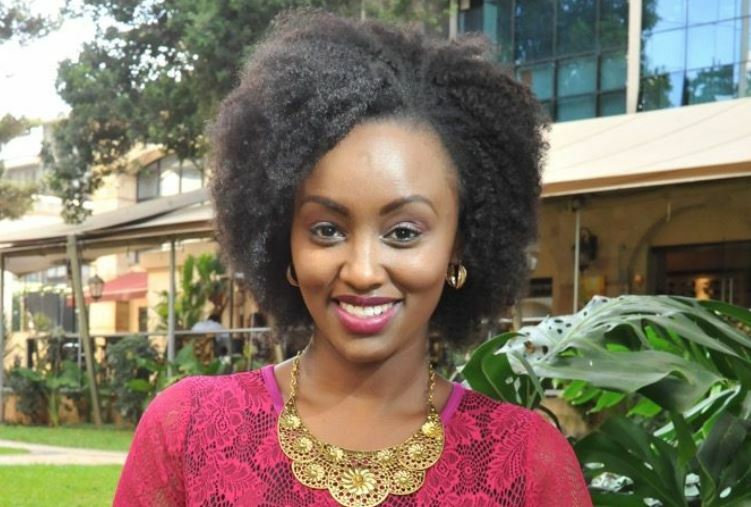 I’m a young energetic entrepreneur and the founder of Marini Naturals. Brought up in close-knit catholic family, I attended Consolata Primary School, then on to Loreto High School in Limuru. I joined the University of Nairobi in 2008 where I graduated with a First Class honors in Design and Communication. How did the idea for Marini Naturals come about? In 2013, my late dad was diagnosed with cancer and we as a family were trying to walk the natural and healthy journey with him because aside from his diet, his lifestyle changed. After cutting my hair, I realized I could not find products to maintain my natural African. I was using lots of money in importing products which were not even suited for my hair. I decided that enough is enough and I need not be a big multinational to do this. Together with my family, we pooled quite some money together, put in into a Sacco and after three months, I was able to borrow three times my savings. It has been a roller-coaster of a ride; exhilarating, exhausting, exciting and there have been down moments. 2017 was a very difficult time for Marini Naturals- as much as I could see the ideal for the company, the reality was saying something totally different. You just have to enjoy your roses among the thorns. You are an accomplished person both academically and career-wise, what is the magic formula to stay motivated even on a bad hair day? What are your secrets to resilience? I stay motivated by always beginning with the end in mind. I know where Marini is going, I know where I’m taking it. You need a strong conviction and belief in yourself. Find the people that support you, find your good energy and keep going. Given that Kenya is flooded with cheap synthetic hair care products, did you face any challenges starting an organic beauty brand in Kenya? How do you stay ahead of the curve in this niche? You have to constantly innovate, not only your product but as well as your communication, technology, distribution channels and engagement with customers. Currently, we are in the process of setting up a system that’s going to automate the entire Marini Naturals. The mistake most people do is think you only need to innovate whatever product you are selling. But think about it, for a company like Apple, they not only sell their gadgets, nut also design, innovation and the cool factor. For Marini, we sell a lifestyle and a feel-good kind of vibe. Asks yourself, what do you sell beside your core product? Holistic self-care involves not only about taking care of our bodies but also the environment. In your view what is the role of organic beauty products in sustainability and a greener earth? As Marini, we are not only geared to designing and formulating and creating natural hair products, we also have a commitment to be natural in the three Ps (Planet, product and People). This means that we make our profits ethically and we use natural ingredients in our products hence, we sell products that are healthy for our people. We owe it to the planet to be fully committed to have a responsibility toward the environment. We have taken the bold step to go paperless on our products by printing directly onto the bottle. This means that we save on trees and all our bottles are recyclable. What is the culture of your organization? How do you build a successful customer base? We don’t just sell hair products. Our core pillars of the brand are natural beauty, the African culture and self-love. How do you find like-minded young and passionate people to work with? I started off with my best friend Niyati Patel who is also the co-founder of Marini Naturals. She is the most positive, driven person I know. Positive plus positive can only result in an explosion of positivity. When recruiting new personnel, we don’t look at the qualifications or awards but at the person’s energy and vibe. I always say hire character, train skill. Don’t hire skill and train character. Someone could be the best accountant but they are rude, gossip around and demotivate your team. Social media has been instrumental in our success because it is engaging and one on one and we are getting feedback on our products from all over the world. You have been a mentor on both season 1 and season 2 of the BLAZE BYOB show, how was the experience like? Season 1 was phenomenal since it gave me so much exposure and confidence. Before, I had never stood on a stage and spoke to over 3000 youths. What touched me is to just hear someone say that even if they could save Sh5, 000 their dream would start. Sometimes living on the better side of life you tend to take such things for granted. In Season 2 I wasn’t much involved but it was also good, I felt a lot creativity this time round from the BLAZERS.